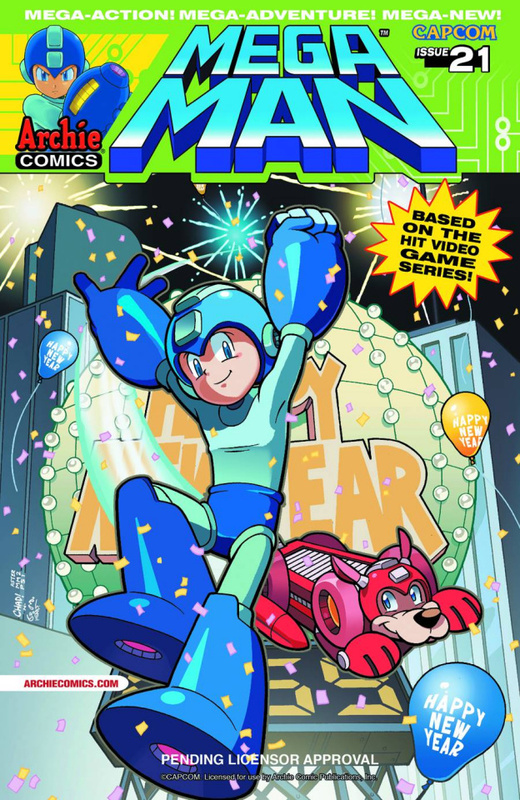 It's almost New Year's Day, and Mega Man is ready to celebrate in style! Rock, Roll, and Dr. Light are among the crowd waiting to watch the ceremonial light-ball drop at midnight, but the celebration is short-lived as the Emerald Spears return to exact their revenge on our heroes! The epic grudge match between Mega Man and Xander Payne begins now, so grab a front row seat and prepare for the battle royale!